Take a look at how you can use Administrate's training management software to make sure all your students are happy students! 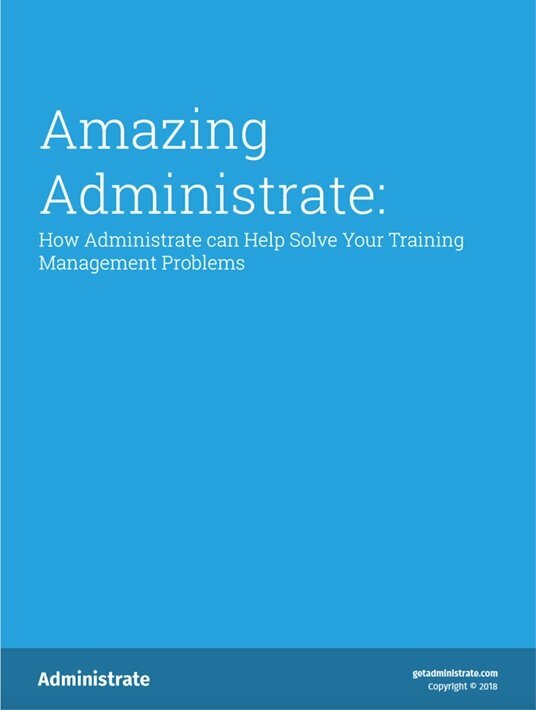 We’ve written a lot before about how Administrate's training management software is designed to make the life of a training provider so much easier. We’re here to save you loads of time, to make your training admin a total breeze, and to make sure you keep those sales rolling in by increasing your course bookings. However, we don’t just make things easier for you, we also make things easier for your customers – the students! By using the features in Administrate to make things more simple for you, you are in turn passing these benefits on to your customers, and making their whole experience with you as a training provider much more enjoyable! And who doesn’t want happy customers? After all, a happy customer is much more likely to keep coming back to you for all their training needs, as well as say nice things about your company to other potential customers who are looking for a recommendation. Read on to see all the different ways you can utilise Administrate’s features to make sure your customers are super happy! Training Tokens give you the ability to sell to your customers in bulk. They work a lot like gift vouchers; you can sell the pre-set vouchers to your customers and then they can redeem them for training at a later date. So why is this good for your customers? Well, it’s going to save them loads of time during the initial sale, especially if they’re trying to book a lot of training at once. 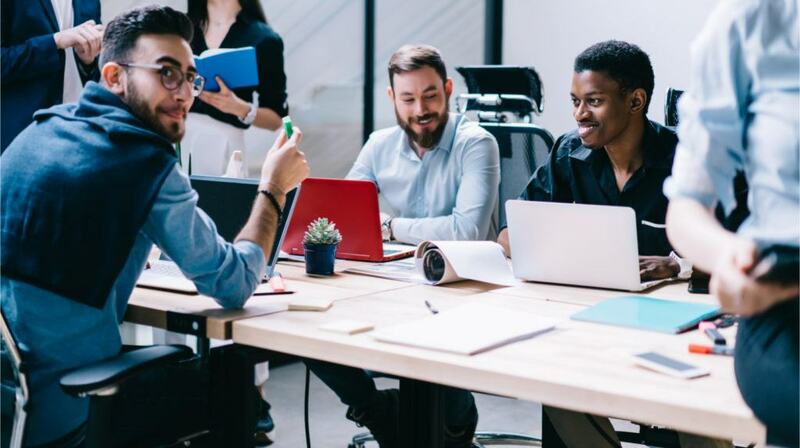 You could be selling a specific training course to a company’s Training Coordinator, who will have to organise all the staff on their side to make sure everyone can attend one of the training sessions within a certain timeframe. Can you imagine if you had to spend the time with them at the initial sale trying to book all those training courses at once? Not only is that a lot of wasted time for your Sales team, but it’s also a lot of wasted time for the customer! Ideally, they need to go away and work out when is the best time for their staff to attend, taking into account things like staff holidays, busy periods, events they already have booked in, etc. It’s not the type of conversation you want to try and rush on the phone in one go, as chances are mistakes will be made, and then you’ll waste even more time with lots of back and forth trying to correct things and rearrange dates. With Training Tokens, your customer will know exactly how much training they need, based on how many people they know will be attending and how many training courses they need to book on to. You can then sell them the amount of Tokens that will cover that amount of training, and the sales process is finished! Customers will be happier because they will be able to go away, at their own pace, and plan out exactly when to schedule their training, without any stress or rush. This could mean booking half the company in at the beginning of the year and the rest of the company in the last quarter of the year – whatever suits your customer really! Just make sure and make them aware if your Training Tokens have an expiry date or not, and that way it is their responsibility to make sure they redeem all their Tokens before they run out. Selling in bulk like this also gives you option to offer your customers a bit of a discount. 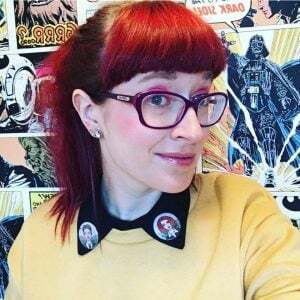 As you know you’re guaranteeing such a huge chunk of business, you might want to do something like £5 off for every £100 worth of training they purchase. That guaranteed revenue for you results in happier customers again, because they get to save a little money on their training, with them receiving a bigger discount the more training their purchase, which may convince them to buy more training than they originally intended. Finally, Training Tokens also help with customer loyalty. If customers know they can just purchase all their training needs from you in one go whenever they need it, annually for example, then they are more likely to keep coming back to you time and time again because they know it’s easy and convenient for them. If the selling process was quick and easy for them, with all the planning and scheduling done at a time that was suitable for them, they’ll be less likely to risk moving to another training provider who might make the process long and difficult again. Keeping your customers happy is a huge part of keeping them coming back to you! Obviously, this won’t be appropriate for all your customers, as some may just be looking to purchase a specific, single course from you, and that’s all. But if you have customers who purchase multiple courses, and are likely to keep doing so over time, using Training Tokens could be the perfect way to make both their life and your life much easier! Keeping your students up to date about any information relating to their course is extremely important. Not only will skipping or forgetting this important step make your company look bad, but it could also affect your student’s performance, as they could turn up to a class unprepared, or miss a class if it was rescheduled for another date but they weren’t informed. A student who is prepared and has all the information they need is a happy student, so it’s up to you to make sure this happens. The first way you can make sure this happens is automating your emails or text messages to students with communications triggers. This means you never have to worry about somebody simply forgetting to send a student joining instructions or a list of equipment they’ll need for a class, because it will all be trigged automatically within Administrate the minute the sale is complete. You can pick exactly what you want the emails to say, and when you want them to send to make sure students have all the information they need in plenty of time, and then Administrate will do all the hard work for you, meaning nothing will slip through the cracks! You can also use Administrate to sell your courses online, and therefore make sure all your course information is up to date at all times. Any changes to courses that are made within Administrate, such as change of location or time, will be automatically pulled through to reflect the information displayed on your website. This means when a student purchases a course from you, or if they simply go to look at your website again for reference, all the details will be completely up to date and accurate. You can also email students to make them aware of edits you make to courses they have signed up for, just to make sure they don’t miss any important changes. But again, this can be done through Administrate in seconds with a templated email sent to all the students signed up for a specific course. Easy peasy! Imagine how annoyed a student would be if they missed a venue change, and therefore missed a class! Or they didn’t receive a reading list, and turned up for a class totally unprepared. They are going to be angry at you for not communicating with them effectively, they won’t be getting the most from the class they are attending if they are unprepared or miss huge chunks, and they are very unlikely to purchase from you again! Clear and efficient communication will mean your students have all the information they need, and will give them a happier experience as one of your customers. Make your customers happy by making the buying process as easy as possible for them, and the more convenient way to offer your courses to most of your customers is to sell them online and take the payment online as well! Administrate can integrate with your website so all your courses can be easily loaded on to your website, with your potential customers able to find exactly the course they need and then pay for it, all in one easy step! Taking sales over the phone, or by email, is a slow process, that requires you to have staff available to complete the sale with the customer, and the customer to have a bit of extra time to invest to actually contact you in the first place. What if a student finds your website at 3am, or when they’re just about to get off the train? You’re either not going to have staff in the office to deal with their enquiry, or they don’t have the time to phone you to complete the sale. Chances are, instead of waiting and contacting you at another time, they’ll simply head to Google and find another training provider that they can buy from then and there! Having the sale and the payment all completed in one step online is much easier and more convenient for your students! Some people also don’t like the idea of giving their payment details over the phone, or by email, so it’s much more secure to offer online payment options. Administrate integrates with a number of leading payment providers, such as PayPal, Stripe, and SagePay, so you’ll easily be able to find the best solution for both you and your students. eLearning might not be the option all of your students are looking for, as some may still prefer the face-to-face method of teaching, but for students who prefer to learn in their own time, at their own pace, eLearning could be a perfect addition to your offering. 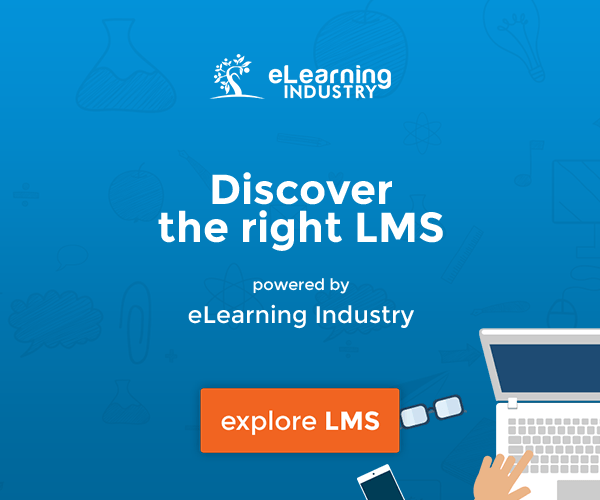 With Administrate you can use our LMS to offer eLearning courses to your students with ease! Work together with your tutors to see which courses may work well as an entirely eLearning option, of even as a blended learning option, where you combine some eLearning with some classroom learning to produce the best possible learning experience for your students. Why not check out our series of posts on an Introduction to eLearning, that explain everything you need to get started! If you only offer classroom sessions, you may get students signing up for classes because it’s the only option available, but not having the best experience if they don’t really like classroom learning, have to travel quite a long way to attend the class in the first place, or don’t like being rushed along at a set pace and would rather work to their own schedule. This means they won’t really enjoy the class experience and may not get everything out of the class that they would have otherwise. It may also mean potential customers simply take their business elsewhere, as they may not have the free time to be able to make classroom sessions, as they may only be free in the evening or at weekends for example. Offering a number of learning options for the classes you schedule means your students can pick the exact learning environment that best suits them, which means happy students! All of these ways to make your students happy are easily implemented with Administrate, you just have to decide which ones will work best for you! Making the move to accepting online payments will be a quick process, but decided to offer eLearning courses will obviously take a bit of planning and effort to actually create the course content, so it may not be feasible to make all these changes in one go. Decide which ones will make your specific students happier, and go for those first! And if you can make some of the bigger changes in the future, get those in your roadmap to make sure they happen. After all, your business depends on happy students!